An edit of the key styles and trends to look out for this Spring Summer 2016. So, for the past two weeks I’ve unfortunately been in bed with the lurgy. But, on the plus side, I’ve been able to flick through a few magazines, do a spot of online browsing and of course, indulged in the odd spot of daytime TV! One particular website I’ve been utterly addicted to lately is Lyst. Think online shopping with a bit of a difference. Firstly – it is absolutely packed full of so very many designers and retailers. From our beloved high street brands such as Topshop, H&M and Mango, through major online players like ASOS, to the far more obscure and less well known labels out there, that we all need to know about! Secondly – with so many amazing labels – it’s of no surprise that there are thousands of fabulous items to browse and pick from, all on the same website! 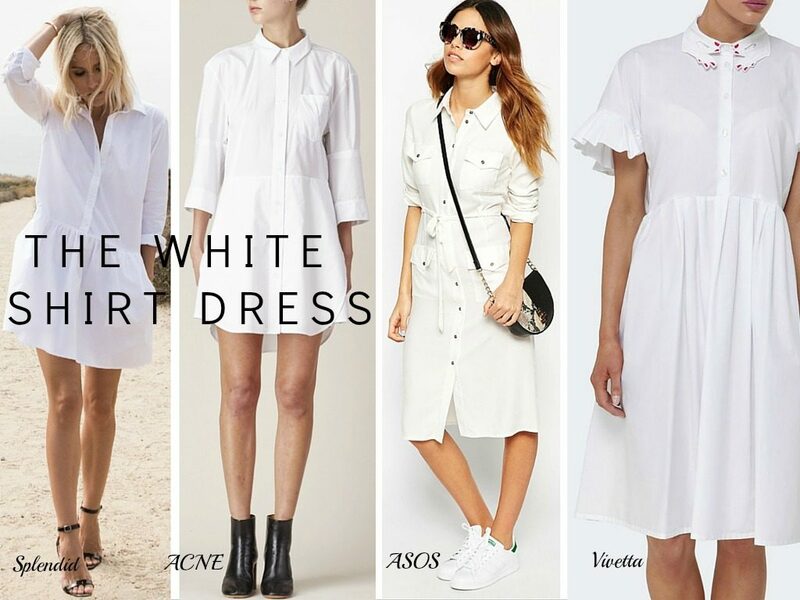 Lyst acts as a one stop shop for all your clothing wishes and requirements, plus it goes one step further. It allows you to set up your own online profile, input the brands you love and therefore want to follow, which in turn then prompts Lyst to show you more of what these brands have to offer. It lets you know when new items are added to your chosen labels lines, and even alerts you to when the items go on sale so as to help you pick up the odd bargain or two! I told you it was the perfect shopping experience! I mean, what’s not to love! Right? 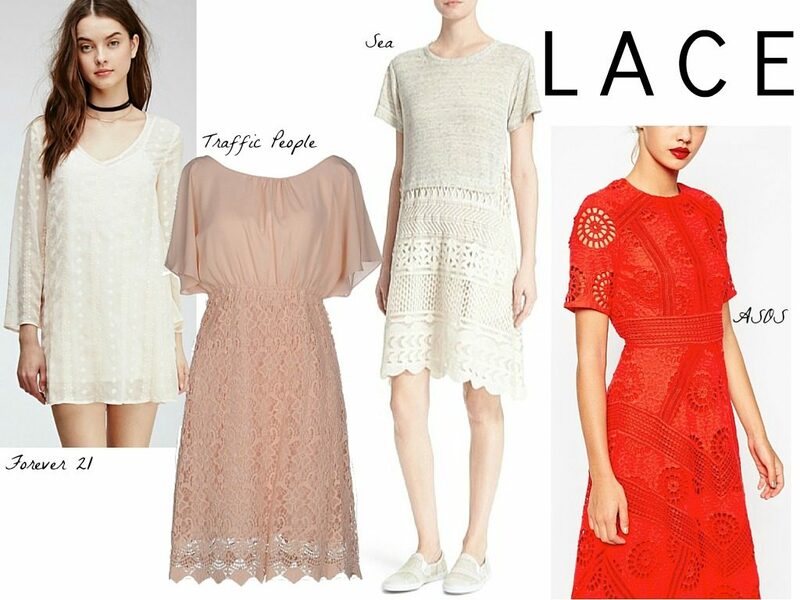 I also really love the fact you can easily just search for a type of item you require, e.g., black lace dress, which automatically brings up all your available options, from where you might just find a few new brands to follow and add to your favourites Lyst. So no matter what your taste, style or budget, there is an abundance of beautiful items to choose from. In a similar way to that of Pinterest, as part of of your profile, you can also set up your very own boards, or Lysts! A ha! You see. Clever huh! So, for example, one list I’ve already set up is for inspiration and ideas for a wedding guest outfit this summer. If I see something I like when browsing, I just pop it into the list, which saves it for later when I can go back and check out all my favourites, see which I like the best or even which has been lowered in price! Anyway, as I said above, being off and stuck in bed reading magazines and browsing, I must say I’ve been well and truly educated as to the top styles to look out for this Spring/Summer 2016. These are the styles which have filtered their way down from the catwalks to our favourite high street and online shops, and these have been predicted by the wonderful fashion guru’s out there to be THE fashion trends for the coming season. So, obviously I popped across to Lyst to see what they had to offer and obviously to start a few more lists! So here’s my edit of just 10 of the coming key looks! 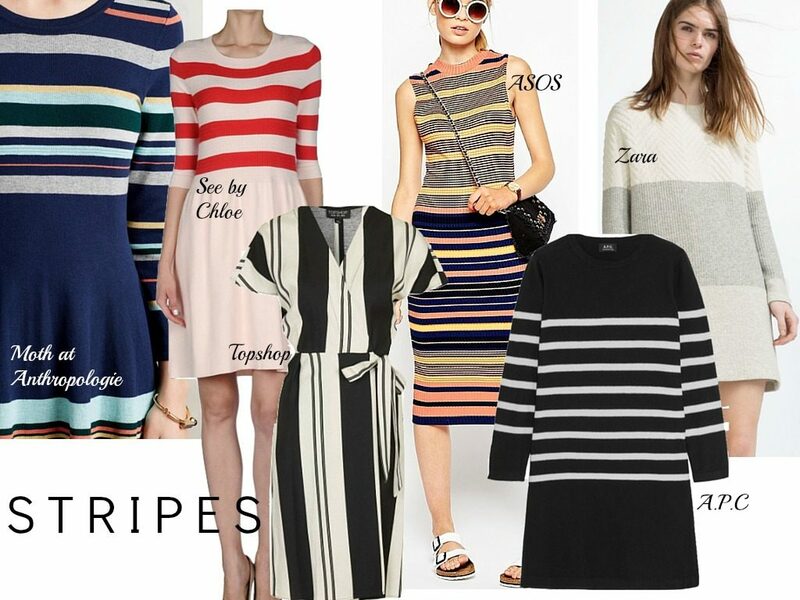 Yep, instead of seeing spots, it’ll be stripes that you’ll be seeing all over the place this season. But seriously, have they really ever gone out of fashion though? Brrrrr. This makes me feel chilly just looking at it at the moment! But rest assured, this look is set to be big. I particularly love how this can be worn from now though (despite what I just said! ), as the open shoulder jumper dresses look super cute, so will keep you stylish yet warm too. Whether long, short, or somewhere in between, pleats of all shapes and sizes will have claimed their place amongst the store rails come spring. 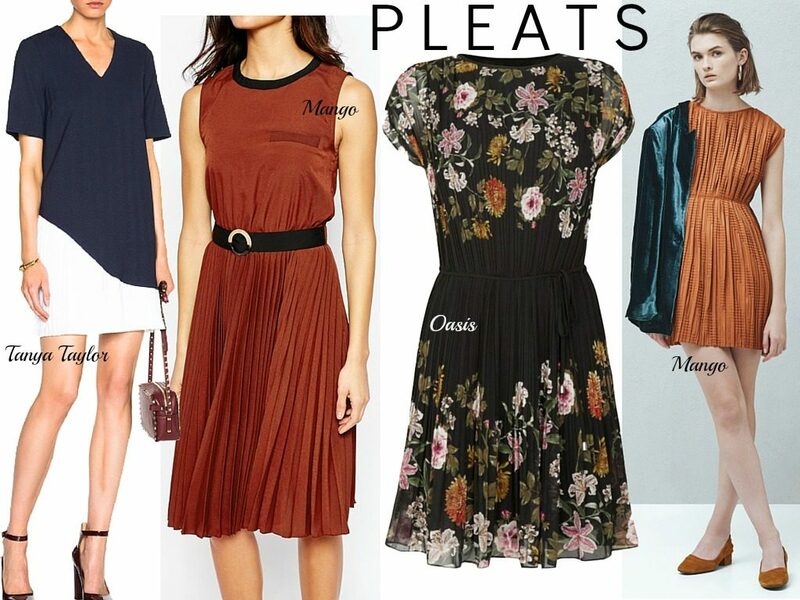 Personally though, being a little on the ‘vertically challenged’ side, I’ve never thought pleats and I have been best of friends. They’ve just never looked that wonderful over my womanly thighs! But I must say I absolutely love the dropped waist style of the Tanya Taylor piece below. I’m thinking this could be a little more forgiving and altogether easier and more flattering to wear if you’re anything like me! Totally happy about this one. I do love a spot of pink, though I must say, the colour really doesn’t feature much in my current wardrobe. From looking around on Lyst, there is such a vast variety of shades and hues, that there really is something for everyone. But, as you can probably tell, I’ve rather been drawn to the more subtle ‘blush’ tones below. This could be an easy one – do you even need to change out of your negligée in the mornings? Well, actually, I’d probably advise that you do. But, my point is that the negligee or slip dress is going to be big. Available in all manner of patterns colours, styles, some more risky than others, but some quite demure enough for daytime wear. I love this look. It’s clean, its crisp and it’s fresh. It just screams ‘spring’ to me. 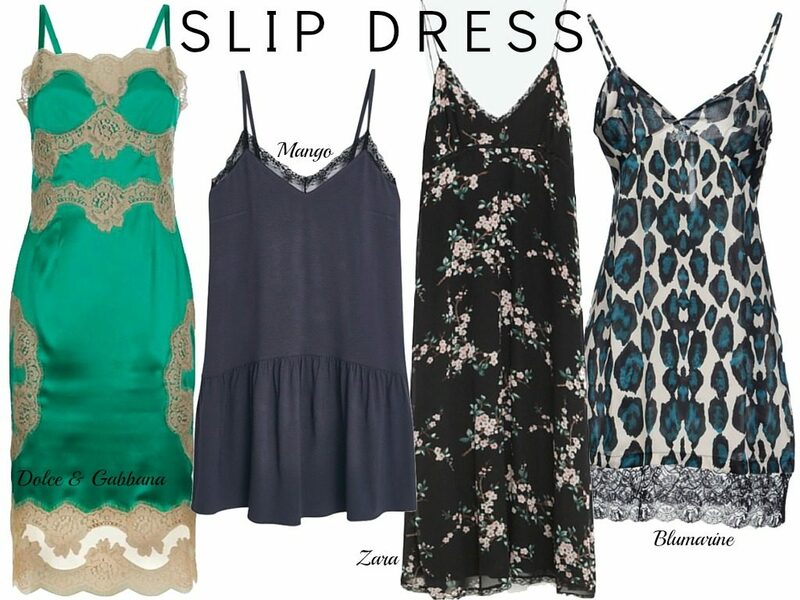 Dressed up or down, it oozes style and sophistication. And accessorizing will be plenty of fun too! So a big ‘hooray’ for it featuring all the more in our stores over the next few months! Again, this is something I’ve probably steered a bit away from in the past, as I’m sure no-one wants to see my lumps and bumps through a sheer panel or two. But, this seasons ‘sheer’ trend is much more inclusive. It’s as if the style has grown-up, or matured somewhat, to produce some really quite elegant and tasteful pieces to suit all shapes and sizes this season. Another of my personal favourites as I’m a bit of a sucker for lace. It’s always been my ‘go to’ security blanket come any wedding or Christmas party! Set to be big again this season, but in every colour you could possibly wish for. And again, it can so easily be dressed up or down, depending on how you wish to style it that day. I must say, this returning trend made me shudder a little. I cast my mind back to my earlier years, where ruffles were in fashion, and I immediately wanted to erase the memory! Who knows, you might have the same memories as my own, but if you just look below, you can breathe a deep sigh of relief at just how much the trend has come on and developed over these past thirty years. I actually really rather love the look now, and might just have to pop back a buy a couple of these pieces. Especially the Clu dress below – I think this would be perfect for easy ‘out and about’ style throughout the forthcoming seasons. Let me just put this out there. I think I need all the pieces below! Yes, I’ve picked up on the jumper dress again, perhaps I’ve been having a cold day, but marl has been named as another key trend this season. Whether in dresses, t-shirts, or slacks, the comfy-casual style of marled pieces will be in all of your wardrobes. I hope these picks have given you a bit of inspiration in time for Spring. Which are your favourite key looks and trends? Written in collaboration with Lyst. Next Post A Valentine’s Wish List – with H.Samuel Watch Giveaway! Awww thank you honey. I could spend hours on that website! Seriously it really is the Pinterest of the fashion/shopping world!! Woohoo!! ??? You really do have great taste Steph. I feel like I live in Pyjamas and huge jumpers at the moment. Need to start thinking about Spring and getting some inspiration from Lyst sounds like a great idea. Hi! My daughters debut isn’t until the year 2015 but I came upon your website and I was wondering if your employees would fly out to Fort Ilocandia at Laoag City for her debut. I really like your service and the pictures you all take are beautiful! Of course the flights to Laoag City will be paid by me. Please reply ASAP.